This 3 mile race is perfect for those that are new to trail running or for trail runners that want a fast event on their trail racing calendar. We also offer a half-mile kids dash, perfect for introducing trail running to little ones. 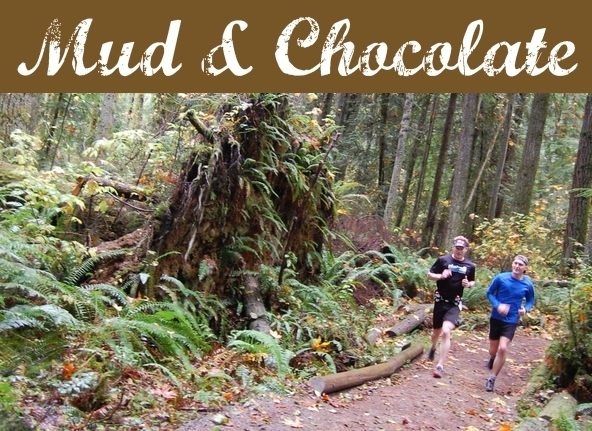 Bite Size Mud & Chocolate races are set on beautiful, non-technical trails that are well marked. They make a great introduction to trail running. Come out and run with us and you’ll fall in love with trail running! Feeling fast? Come and check out these races for a great way to run a fast trail time. Not sure you can run 3 miles? Walkers are welcome to hit the trails with us too. 100% of the profits from the Kids Dash will be donated to Strong Against Cancer. This super fun romp through the forest is perfect for getting little (or big) ones out into nature! Introducing kids to the trails is a wonderful way to bolster their relationship with nature and the world around them. Little trail runners today, stewards of the Earth tomorrow! We want our little runners to feel special, so their race is the first race of the day. We also think this little run is a great way for bigger runners to warm up for the 3 miler! REGISTRATION IS REQUIRED FOR THE KID’S DASH (Parents can join children for free). Register online or day of race. Each child will receive a big chocolate finisher medal when they cross the finish line!